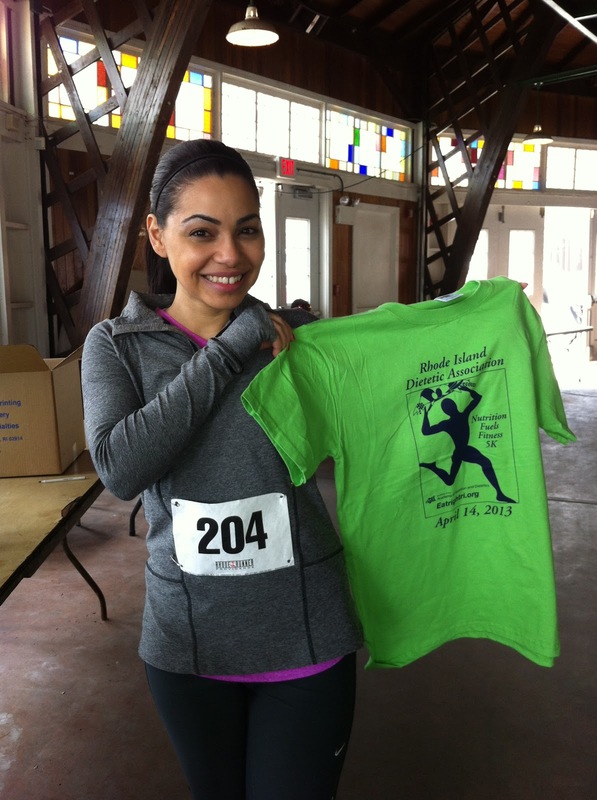 Today (Sunday April 14) was my first 5K race. A friend of mine has been running for over a year now and inspired me to enter a 5K. After much procrastinating and bull^&*ing LOL (excuse my french ;)) I finally registered. I prepped for about a month and ran both outside in a park and also indoor on a treadmill (which by the way I hate). I don't know why but its so hard for me to focus or enjoy running on a treadmill I guess its my attention span or something but I just find it to be so boring. Anyways so this morning I was so nervous but also excited. So I work early had some oatmeal for breakfast and waited for me friend to pick me up. Once we arrived at the park thats when my nerves kicked in and Im not really too sure why I was so nervous. My goal was to just finish and make it under one hour. I want to enter another one and definitely have some trial and error things to correct for my next but for just completely my first 5K I feel proud of myself and honestly in life thats what its all about. Pushing yourself and feeling that sense of self proud and knowing that you can do whatever you set your mind too.